Rev. Hugh R. Page Jr.
As associate dean of the Graduate School for the past four years, Carlson has focused on oversight and coordination of professional development, grants and fellowships, pedagogical preparation, career paths and ethics. Within her discipline, Carlson’s primary research interest is spatial cognition, an area that explores how we mentally represent the places and objects around us. She has won major grants from the National Institutes of Health and the National Science Foundation, and is the author of 40 refereed articles and proceedings, 17 chapters and an edited book. She serves as an associate editor of Cognitive Psychology, and is past associate editor of Journal of Experimental Psychology: Learning, Memory and Cognition. She is on the governing board of the Cognitive Science Society and on the editorial boards of Journal of Experimental Psychology: Learning, Memory and Cognition and Attention, Perception and Psychophysics. She has received two Kaneb Teaching Awards and the Edmund P. Joyce Award for Excellence in Undergraduate Teaching at Notre Dame. 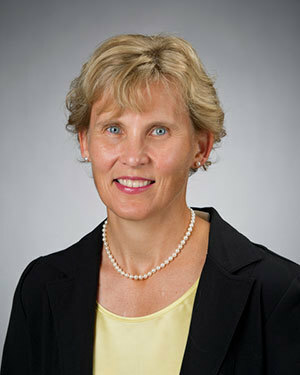 Carlson earned her doctorate from the University of Illinois after earning bachelor’s and master’s degrees from Dartmouth College and Michigan State University, respectively. Page, appointed dean of the FYS program in 2005, also is the Walter Associate Professor of Theology and chair of the Department of Africana Studies. 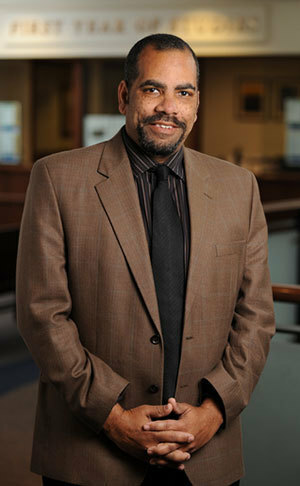 Page’s scholarly interests include early Hebrew poetry, Africana biblical interpretation, esoterism in Africa and the African Diaspora, poetry as medium for theological expression, and the use of religious traditions and sacred texts in the construction of individual and corporate identity in the Africana world. He is the author or editor of “Exploring New Paradigms in Biblical and Cognate Studies,” “The Myth of Cosmic Rebellion: A Study of its Reflexes in Ugaritic and Biblical Literature,” “Exodus” and “The Africana Bible.” Another book, “Israel’s Poetry of Resistance: Africana Perspectives on Early Hebrew Verse,” is forthcoming. An Episcopal priest, Page holds a bachelor’s degree in history from Hampton University, master’s degrees from General Theological Seminary in New York, a doctor of ministry degree from the Graduate Theological Foundation, and master’s and doctoral degrees in Near Eastern Languages and Civilizations from Harvard University. Page received the Presidential Award from Notre Dame in 2001. He is the founder and president of the Institute for Ancient Near Eastern and Afroasiatic Cultural Research and a research associate at Human Relations Area Files at Yale University and the Institute for Signifying Scriptures at Claremont Graduate University. Established in 1918, the Notre Dame Graduate School is composed of four divisions — engineering, humanities, science and social science — and enrolls approximately 2,000 students. It embraces 26 doctoral and 48 master’s degree programs in and among 30 University departments. Current graduate students at Notre Dame have been remarkably successful in receiving external funding to support their research, with awards totaling $2.6 million this past academic year. Over the past decade, more than 90 percent of doctoral degree recipients have gone on to research-related or degree-related occupations. Since its establishment in 1962, FYS has provided Notre Dame students with the foundation for a liberal education. Regardless of their intended program of study, all first-year students are enrolled in the FYS, which enables them to study broadly in the arts and sciences and to consider various possibilities before deciding upon a college or major. In addition to advising students on course selection, FYS staff members use a variety of support services to ease the transition from high school to university life.